I’ve been tooling around with the idea for this project since a trip out west last year. I was standing on the edge of the Black Canyon of the Gunnison, and became mesmerized by the stars. 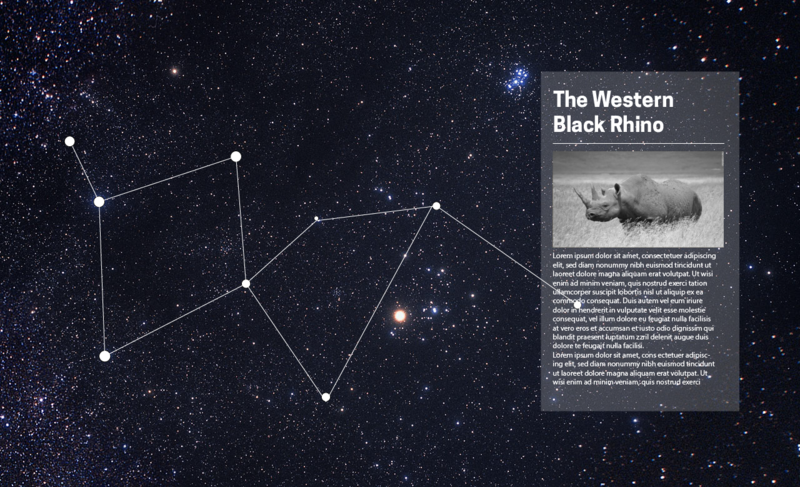 Since then I’ve been wanting to create a place to memorialize species that have recently gone extinct, in the same way we’ve been memorializing our deceased and mythological figures… in the stars. I’ve been scraping Wikipedia for data on deceased species and I’m finding out how unreliable Wikipedia is as a data source. It’s inconsistent across so many pages. It’s a great start but I’m going to have to come at this project from two sides… the data side – scraping wikipedia and creating a cleaner database… and the interaction side — how does this thing exist in the world. As you can see below, entries, tables and labels are all different, and data is sometimes entered as a list, and other times entered as a table… it’s going to make for a complicated and messy cull… there are some nice, open source sky maps… but that’ll come next.